It’s a picture guaranteed to melt your heart. 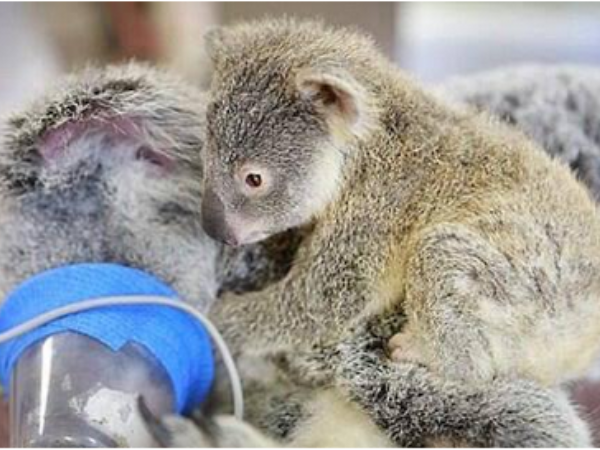 Lizzy and Phantom are two koalas that were hit by car in Australia this past weekend. They were taken in to Australia’s wildlife hospital where Lizzy had emergency surgery to fix a collapsed lung. Fortunately, her cute baby Phantom escaped the accident unscathed – and clung to her the entire time she was operated on. Lizzy made it through the procedure and is recovering well. Jamie-Lynn Nevers, a vet nurse, told the Courier Mail: “Lizzy is in recovery and we’re happy to say she is going well. Phantom hasn’t left his mother’s side since the surgery.